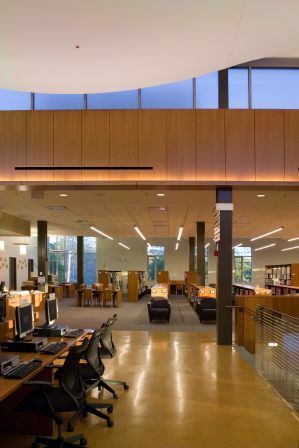 Those patrons seeking questions about the collection, general interest questions, or request to proctor an exam, may be assisted at the reference desk. Requests for items outside the Needham Library maybe secured via the library's catalog or with the assistance of a reference librarian. An extensive collection of genealogy materials and local history is available in the genealogy room near the reference area.